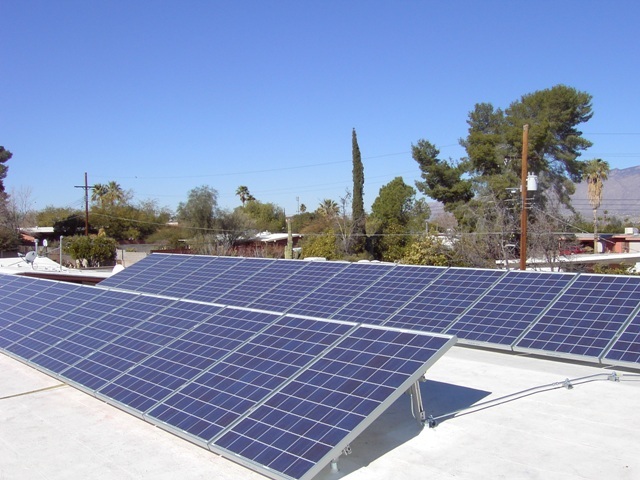 This Southeast Tucson family's strong environmental values and a desire to reduce their utility expenses were the two primary motivators for installing a solar electric (PV) system. They enjoyed working with the "good people" from Technicians for Sustainability, and they like the fact that their system is both low maintenance and worry free. The addition of a PV system is just another step that this family has taken to reduce their environmental impact, as they have also reduced their water consumption by utilizing a rainwater harvesting system.